HP has unveiled a pair of new OMEN gaming laptops. These machines are built with gamers in mind and they deliver high-performance. HP’s OMEN line comes in multiple price points. 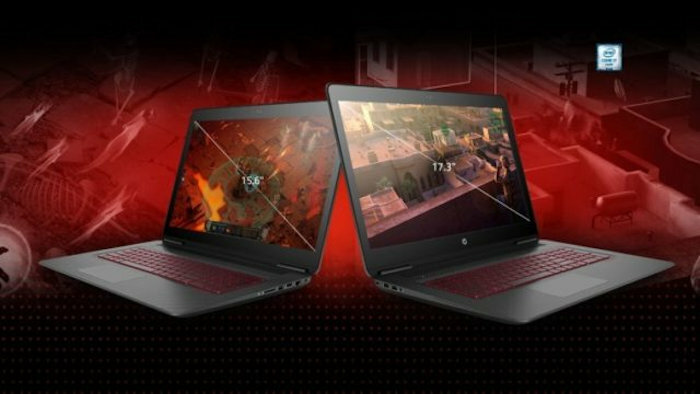 Later this summer HP will also introduce the Omen X platform for gamers who want even more performance with “enthusiast-level” customization options. So you have that to look forward to. The new OMEN notebooks are available in 15.6 and 17.3 inch sizes with full HD and 4K display options. Superior sound quality is delivered thanks to Bang & Olufsen along with HP Audio Boost technology. Sound good? Read on. They are powered by up to 6th Generation Intel Core i7 processors, NVIDIA GTX graphics up to 965M, up to 16GB RAM, 512GB SSD, HP Fast Charge and they have up to ten hours of battery life on select models. They also feature a Dragon Red backlit keyboard with OMEN branding, and a dual fan design for top performance. For better cooling, the 62-watt battery sits flat and toward the front of the machine. They are priced starting at $899 for the base model, they will be available for purchase through HP’s website from July 10th. This line sounds pretty impressive. Gamers will want to check them out.